Nortel Networks entered 2017 with the courts approving its bankruptcy settlement and agreements with some debtors, putting the large network equipment provider in an interesting place. While current financials may concern some, Worldwide Supply sees this as a smart opportunity for your network to invest in the brand’s equipment, such as the Nortel RD-4 microwave radio system. These microwave radio systems provide high-speed assistance to today’s high-performance fiber networks with multiple node and transport options in a compact format. A modular design and broad set of accessories and optimized parts allows for a quick deployment of your network. With an integrated transmitter-receiver design, the Nortel RD-4 microwave radio can facilitate a variety of carrier applications, from backhaul transport for wireless networks to ATM transport for enterprises and a multitude of options for within fiber networks to provide route diversity and much more. 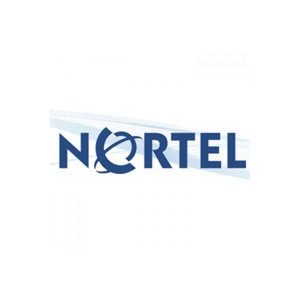 Worldwide Supply offers a full range of Nortel RD-4 gear and accessories, from control assemblies and alarm and monitoring modules to terminals, converters, amplifiers and more. We’ve got everything you need to get your RD-4 installed and supporting your network right away. To boost your savings on a microwave radio system, we offer a complete line of used Nortel RD-4 accessories and components to reduce costs but not quality. Make the most out of your deployment with used equipment that our engineers bring up to OEM standards and provide a limited lifetime warranty for, giving you peace of mind and a strong network.